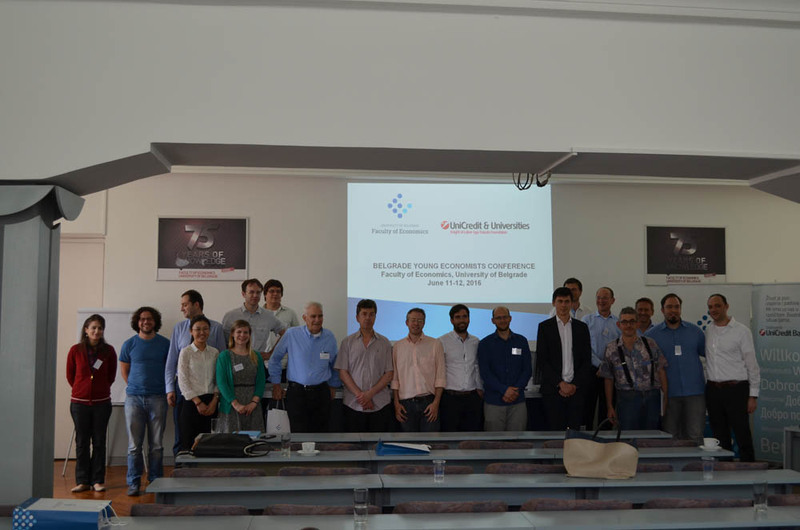 Faculty of Economics, University of Belgrade in collaboration with the UniCredit and Universities Foundation and UniCredit Bank also this year organized the two-day international Young Economists Conference on June 11th and 12th. The conference was established in 2011 with the aim to support young researchers from around the world in their further development. UniCredit and Universities Foundation and UniCredit Bank recognized the importance of this initiative, which provides an incentive to young people in developing the research potential in the field of economics and finance. The participants, who came to Belgrade from the world’s leading universities had the opportunity to present their papers and to receive valuable feedback and advices from prominent and renowned international and domestic professors who operate within the fields of economy and finance, which will help them improve papers for publishing in some of the renowned international scientific journals. Over 160 papers were submitted and the best 11 received the honour to present them publicly. Within this year international Young Economists Conference two best papers in field of economic and finance were rewarded. Namely, unlike previous years, the Program committee decided to award two authors, Rigissa Megalokonomou and Nikola Vasiljević with grants of EUR 1,000 each, provided by UniCredit & Univerities Foundation. Although numerous researchers from leading European and American universities applied for the award, only 11 researchers had the opportunity to present their papers to reputable international and domestic professors. In regards to this Rigissa Megalokonomou, Department of Economics University of Warwick, Great Britain, author of paperwork “Knowing who you are: The Effect of Feedback on Short and Long Term Outcomes” stated: “Attending the Conference was a unique experience for me since I had the opportunity to present my research, receive and provide feedback to other presenters, interact with fellow researchers and distinguished professors in many areas in Economics. 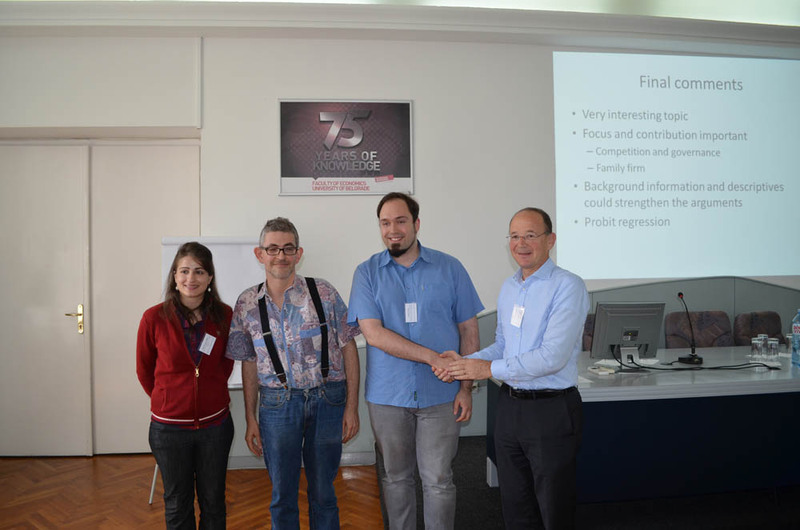 Furthermore, I had the opportunity to network with other motivated researchers who are also passionate about their research and I was impressed by the quality of the presentations.” Rigissa Megalokonomou used this opportunity to mention and thank to co-author Sofoklis Goulas, Department of Economics University of North Carolina. In addition, Nikola Vasiljević, University of Zurich i Swiss Finance Institute, author of “Option-Implied Intra-Horizon Risk and First-Passage Disentanglement”, said: “The program spanned a very broad range of topics and provided an excellent overview of the cutting-edge research in different fields of economics and finance. The presented papers are not only relevant for the academic world, but also for policymakers and financial markets practitioners. Senior researchers have put a lot of effort into this conference – the level and the intensity of the feedback was exceptional, which is especially helpful and important for young researchers.” Nikola Vasiljevic also used this opportunity to thank to his co-author prof. dr Markus Leippold, University of Zurich who supported his research.